Jarrow Formulas Shilajit Fulvic Acid Complex is a purified and standardized extract containing no less than 60% fulvic acid complex with high levels of combined dibenzo-a-pyrones and dibenzo-a-pyrone chromoproteins. These special compounds are active in the mitochondrial electron transport chain. 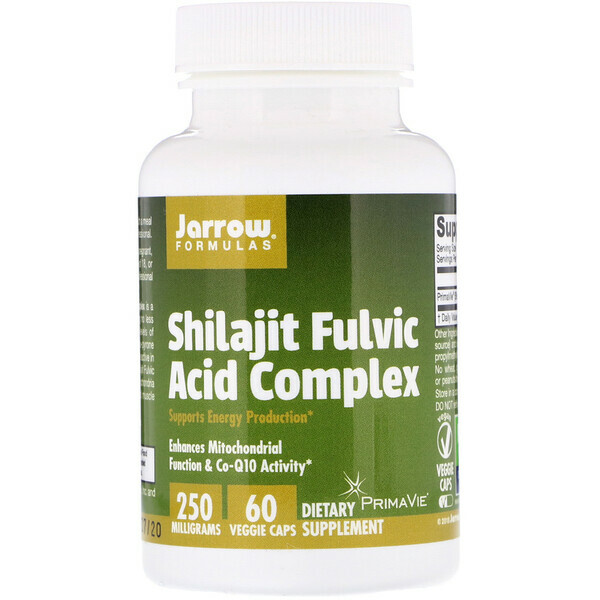 Shilajit Fulvic Acid Complex works with Co-Q10 in the mitochondria and boosts energy production in brain and muscle tissues during exercise. 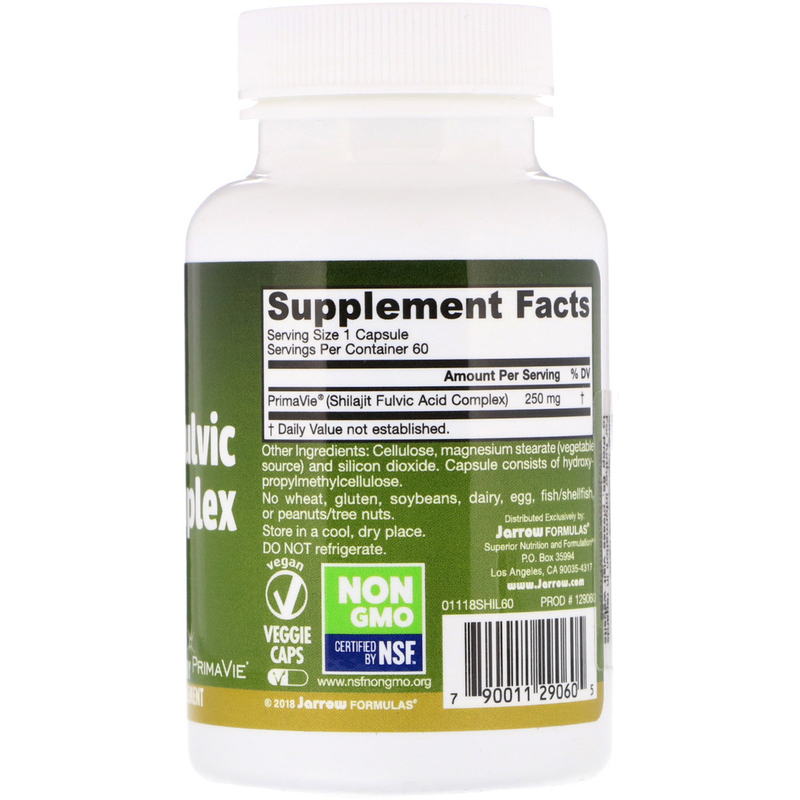 This product contains a substance known to the State of California to cause cancer and birth defects or other reproductive harm.